Redd Kross has just announced their spring 2017 tour dates, which begin April 15 in Denver and extend throughout North America until ending May 16 in Los Angeles. View a full list of the tour dates below. Redd Kross were formed by brothers Jeff and Steve McDonald while they were still in middle school in the 1970s. The current lineup also includes Jason Shapiro, from the band Celebrity Skin, on guitar and Dale Crover, of The Melvins, was recently added to play drums. The band took nearly a decade’s hiatus from 1997 to 2004, and has toured with The Melvins and Dinosaur Jr. in the past decade. The last studio album the band put out was titled Researching the Blues, via Merge Records in 2012. In 2015, their 1984 EP Teen Babes From Monsanto reissued as a limited edition record, which sold out in 24 hours. As to why the band is choosing to tour now, in 2017, Steven McDonald has stated, “We are touring now because we found a rare moment where everyone is available and able. I am in two other touring bands: OFF! (with Keith Morris) and the Melvins, who I joined last year. Recording and touring with my other bands has taken up much of my time. I also produce bands in my home studio. I am deeply grateful to be able to say these are my ‘day’ jobs.” He also divulged that the band will be playing the entire record Teen Babes From Monsanto as part of the set on tour. 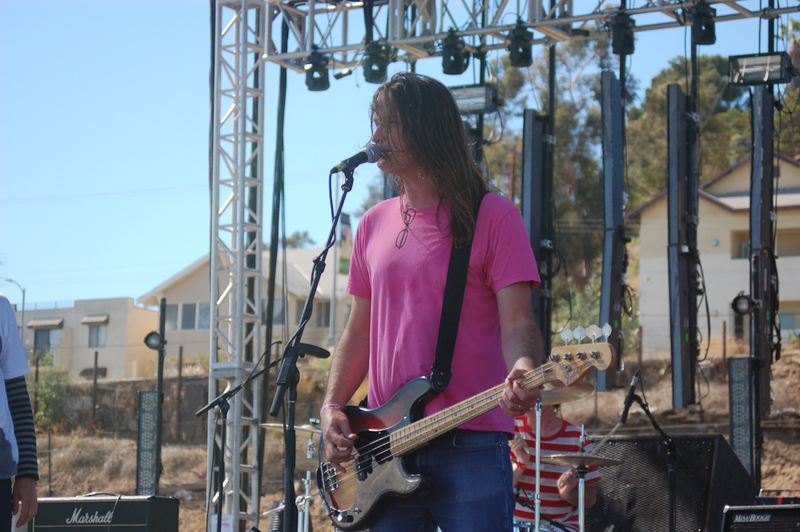 In regard to the future of Redd Kross, fans can look forward to a new record, which is already in the process of being made, with the tentative title of Octavia. “It will be our eighth record. Dale, [our drummer], is a big inspiration. He is a real working musician that has never retooled or changed his course. His enthusiasm for the band has been a great catalyst already. Look out for much more activity from us in the future,” McDonald told Merge Records. Read about Redd Kross’ upcoming tour stop at Philadelphia’s Underground Arts in May.